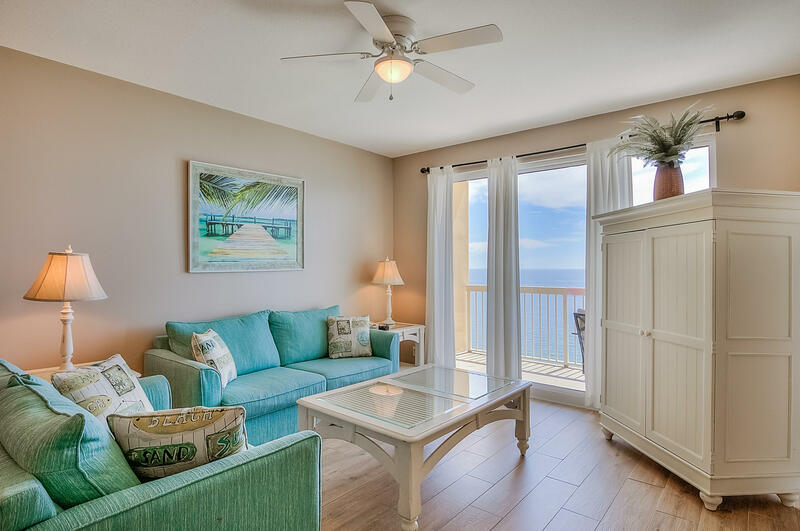 Do not miss out on this 2 BR / 2 BA plus bunk room condo at Calypso! This floor plan is a 2 BR floor plan features a bunk room (feels like a 3rd bedroom), a walk-in laundry room, a wet bar and a beach front master bedroom with direct access to the balcony. Calypso 2-2108 is being sold rental ready and has a great rental history with repeat guests. Calypso is known for it's desirable location right next to Pier Park so you can come on vacation and never have to get in the car! Pier Park offers tons of restaurants, shopping, entertainment, festivals, kid activities and nightlife.